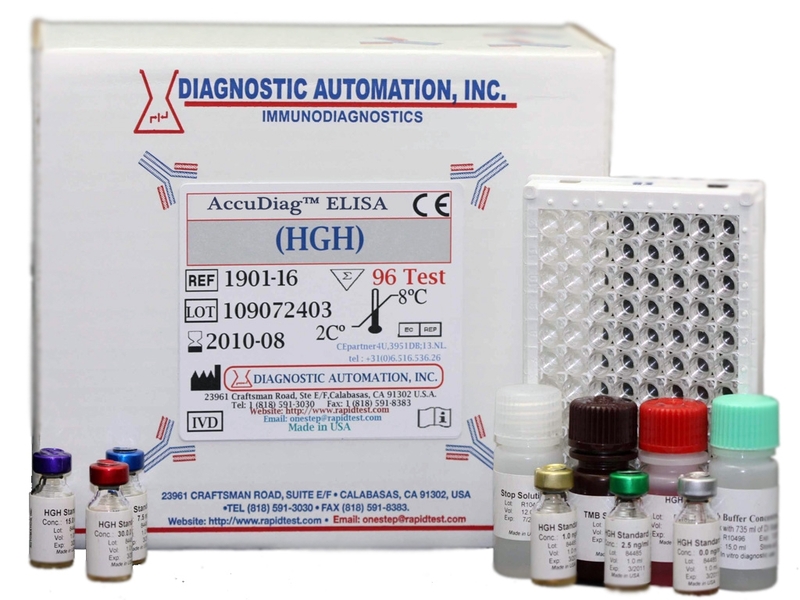 LH ELISA kit| (LH ELISA kit) | FDA-CE | 818-591 3030,USA. 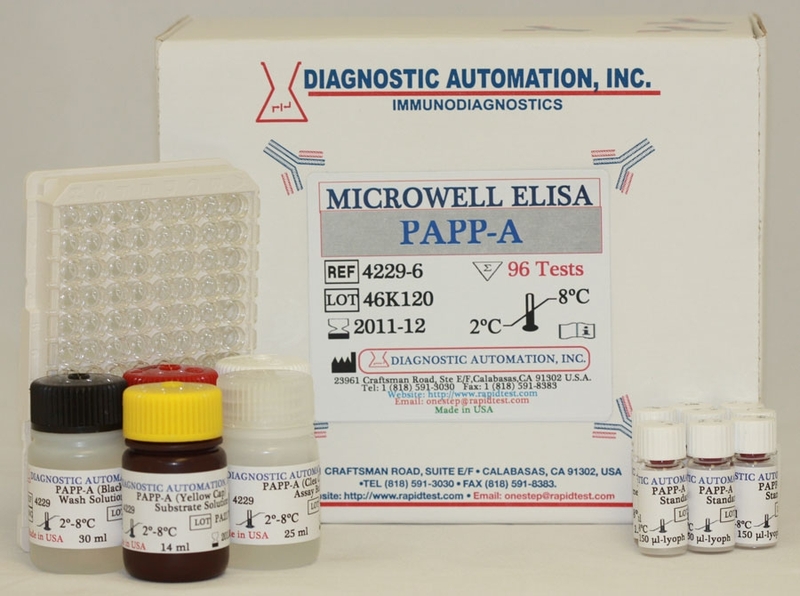 The Diagnostic Automation LH EIA test kit is for the quantitative determination of human luteinizing hormone (LH) concentration in human serum. Luteinizing hormone (LH) is produced in both men and women from the anterior pituitary gland in response to luteinizing hormone-releasing hormone (LH-RH or Gn-RH), which is released by the hypothalamus. LH, also called interstitial cell-stimulating hormone (ICSH) in men, is glycoprotein. 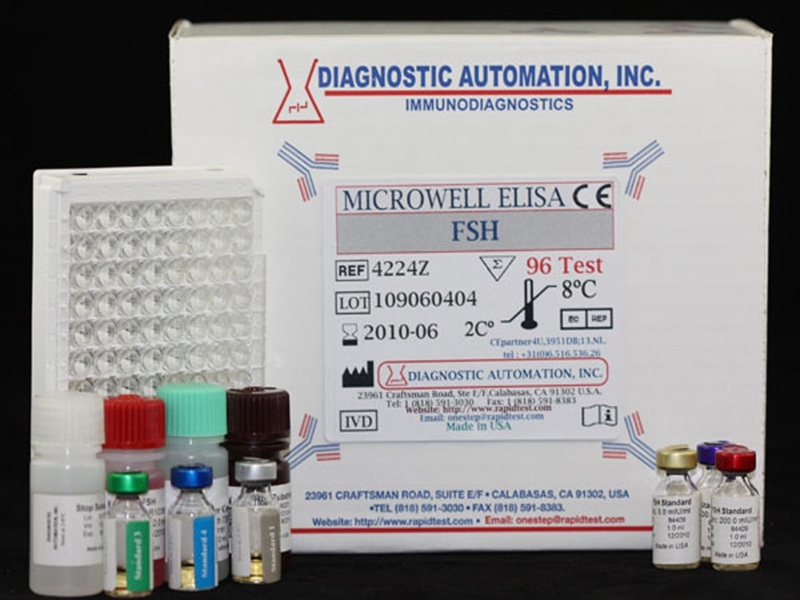 In the differential diagnosis of hypothalamic, pituitary, or gonadal dysfunction, assays of LH concentration are routinely performed in conjugation with FSH assays since their roles are closely interrelated. Furthermore, the hormone levels are used to determine menopause, pinpoint ovulation, and monitor endocrine therapy. 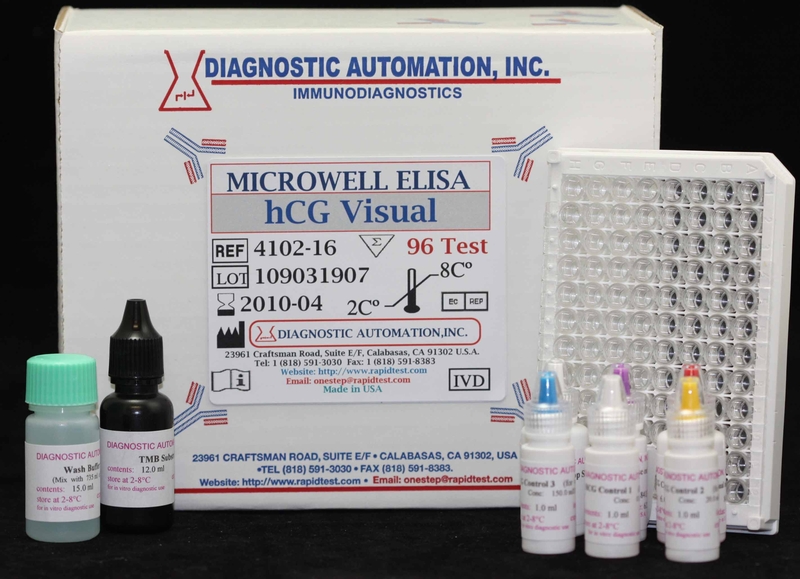 The LH Quantitative test kit is based on the principle of a solid phase enzyme linked immunosorbent assay. 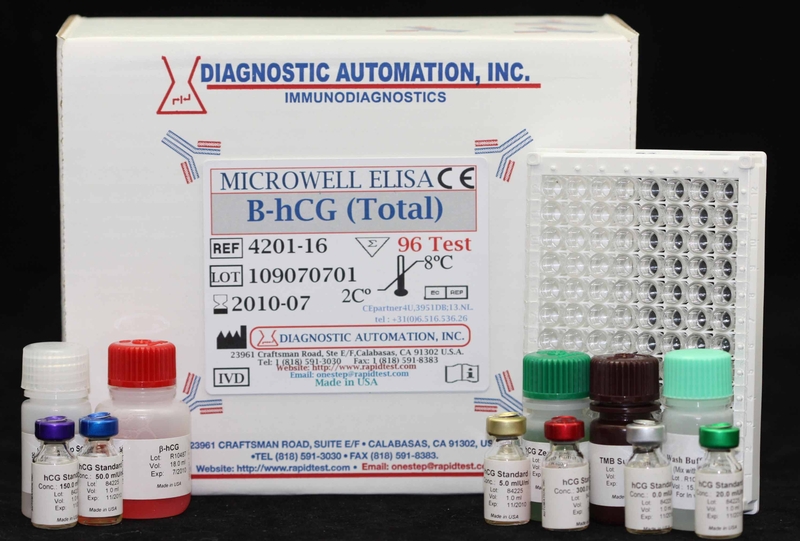 The assay system utilizes one anti-LH antibodyantibody for microtiter wells immobilization and a mouse monoclonal anti-HGH antibody in the antibody-enzyme horseradish peroxidase conjugate solution. 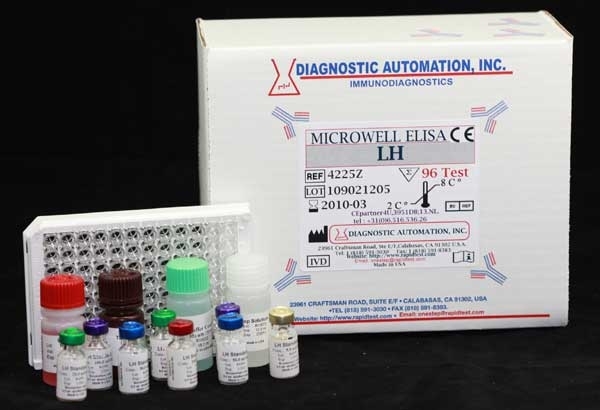 The test sample is allowed to react simultaneously with the antibodies, resulting in LH molecules being sandwiched between the solid phase and enzyme-linked antibodies. For additional details please refer to the instructions for use.